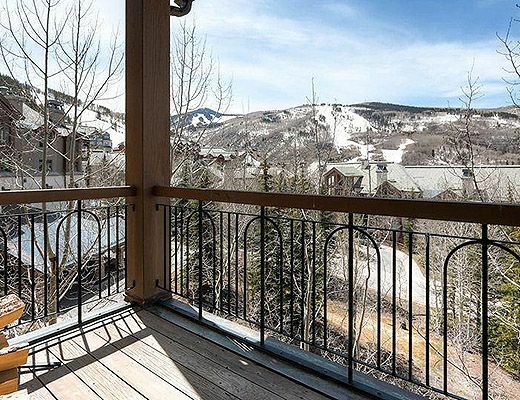 This three-bedroom, three-bath, third floor residence has the feel of a mountain top Beaver Creek cabin. 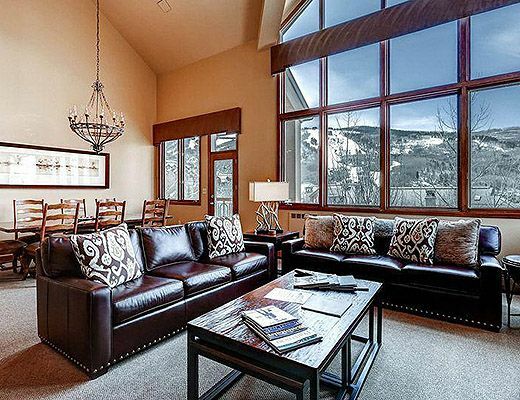 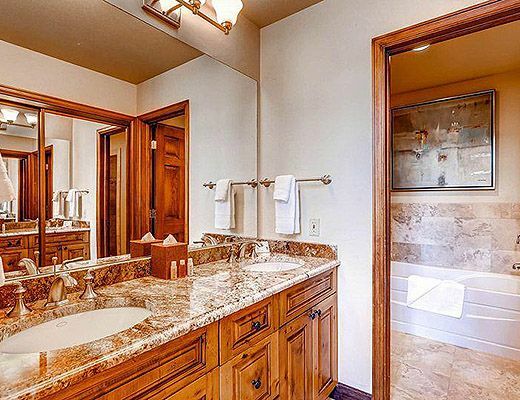 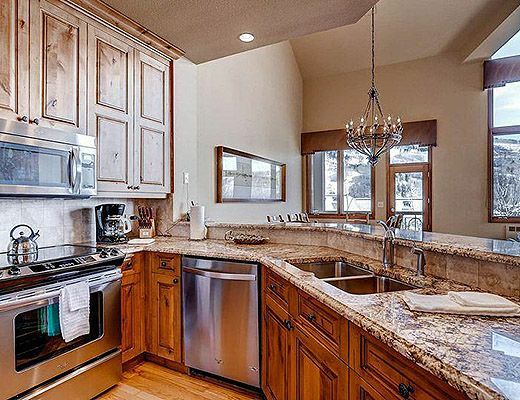 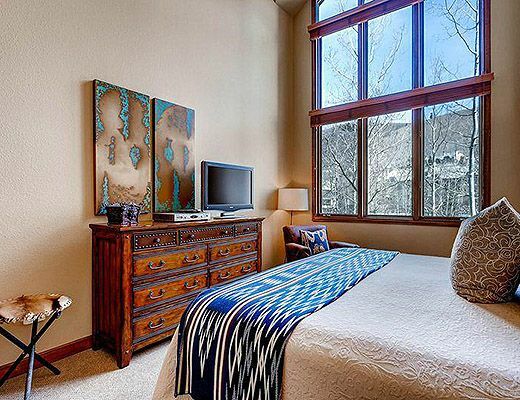 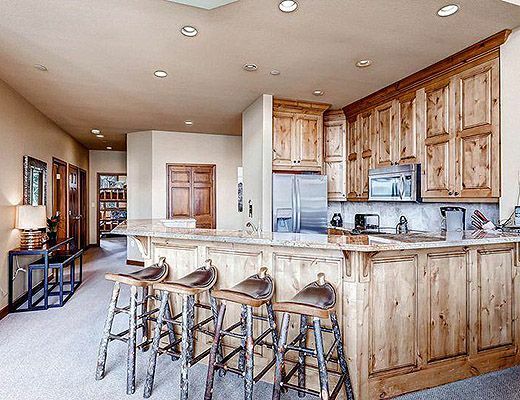 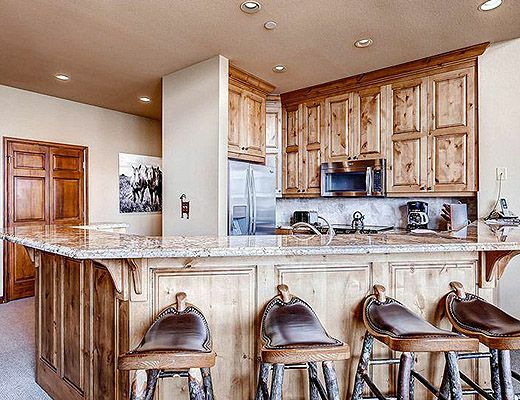 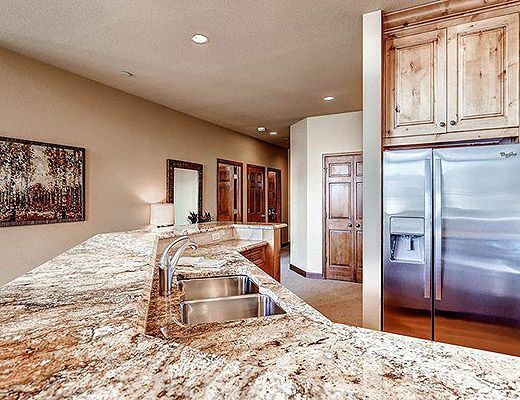 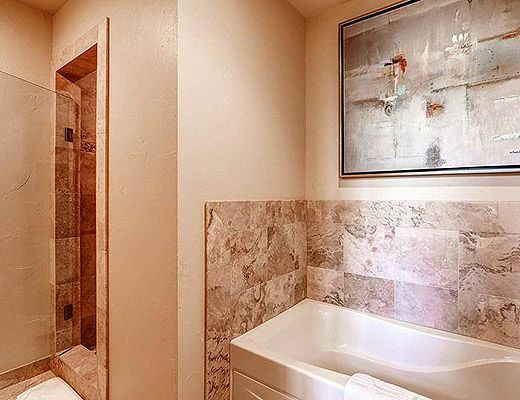 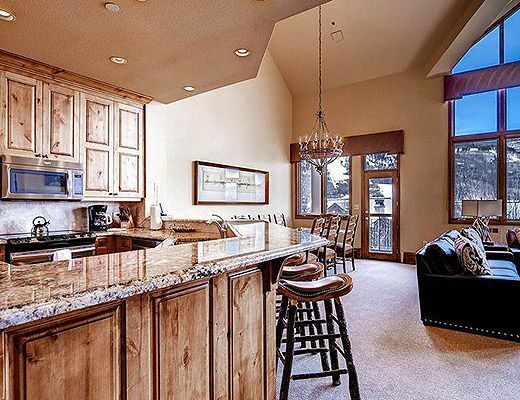 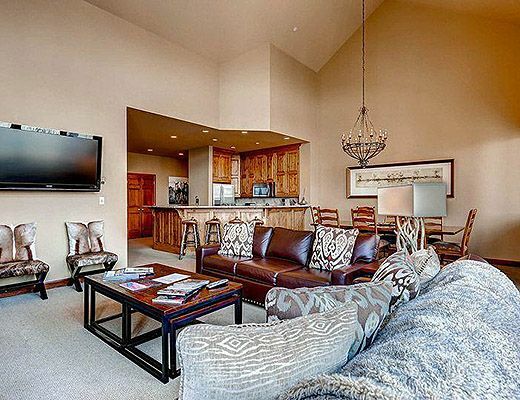 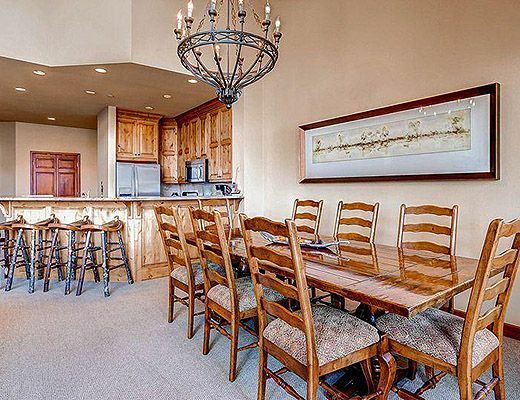 Take in the spectacular views of the Strawberry Park slopes of Beaver Creek Mountain and northwest down the valley from the living room with vaulted ceilings. 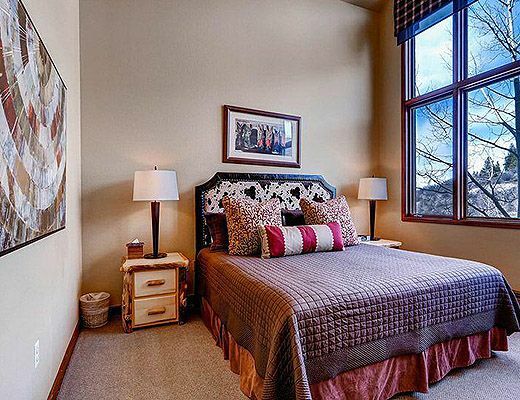 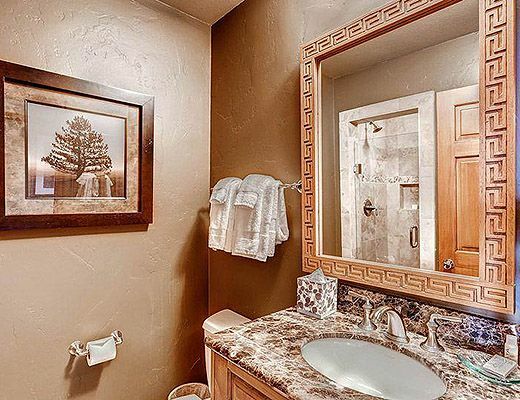 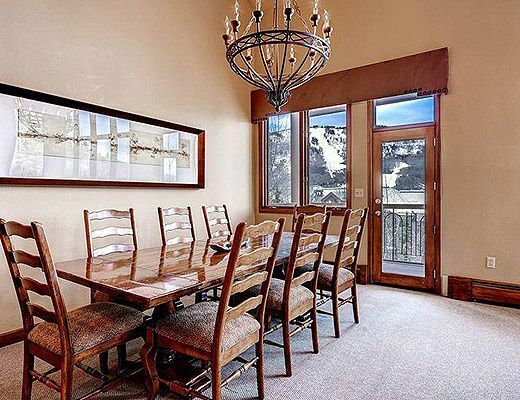 The classic Colorado mountain dÃ©cor throughout the home is comfortable and inviting. 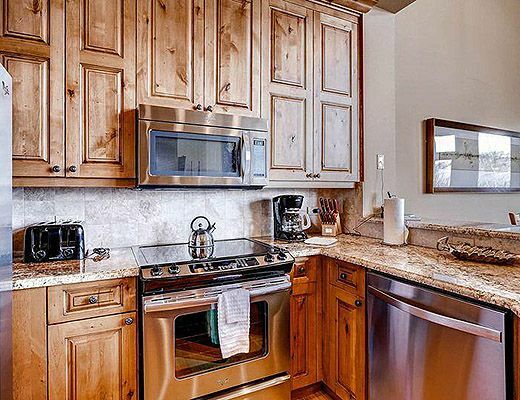 Located at the end of the hallway, the home has a more open layout and a larger kitchen than the typical Highland Lodge residence. 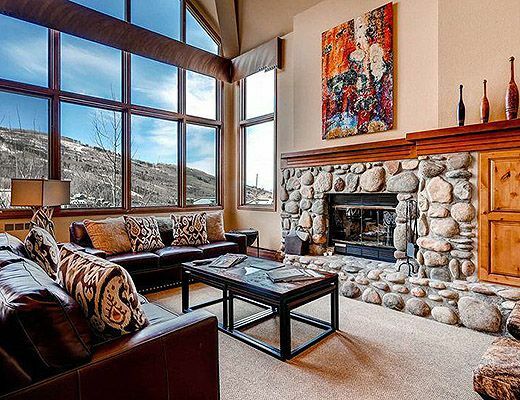 The warm, inviting wall color and abundant windows add to the lovely ambiance. 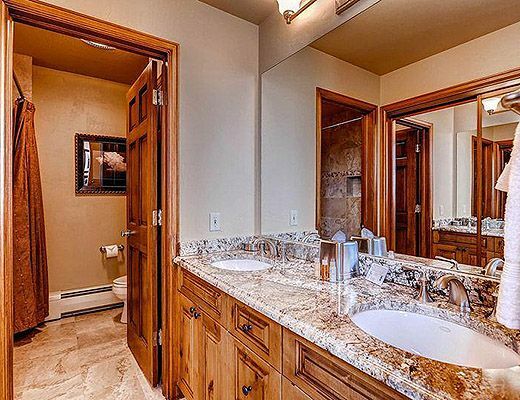 All three bedrooms are along a hallway to the right of the entry. 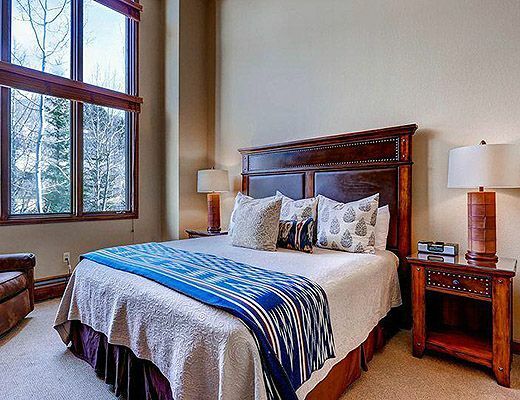 The master suite has a king-sized bed. 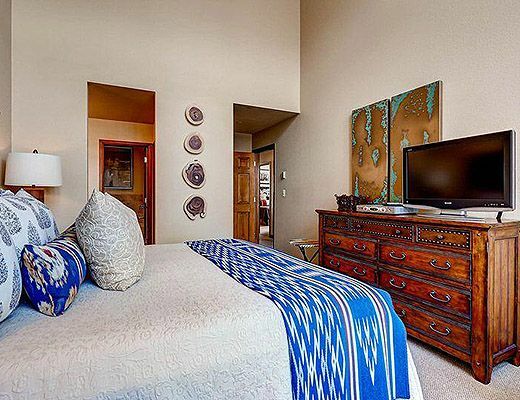 The second bedroom is furnished with a king sized bed and en suite bath. 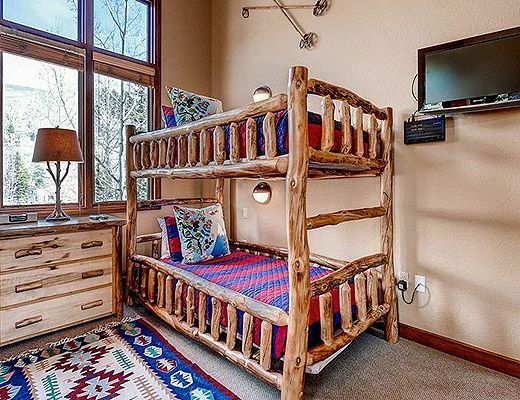 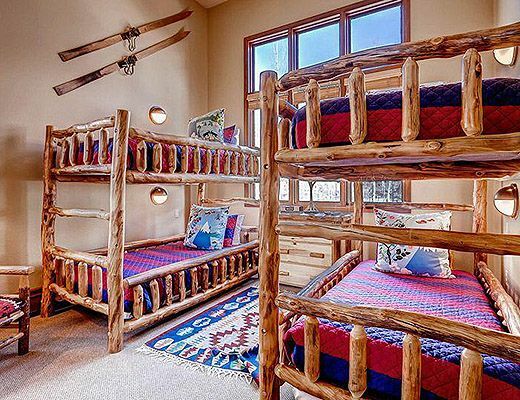 Two twin bunk beds are in third bedroom with the bathroom across the hall. 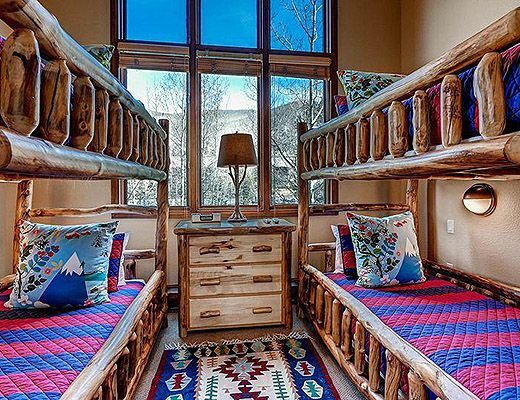 There is a queen sleeper sofa in the living room to accommodate additional guests. 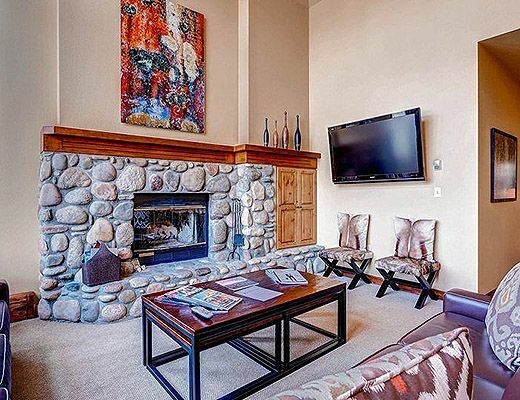 Guests can ski in and out of the Highlands Lodge ski locker room, which offers direct access to the slopes. 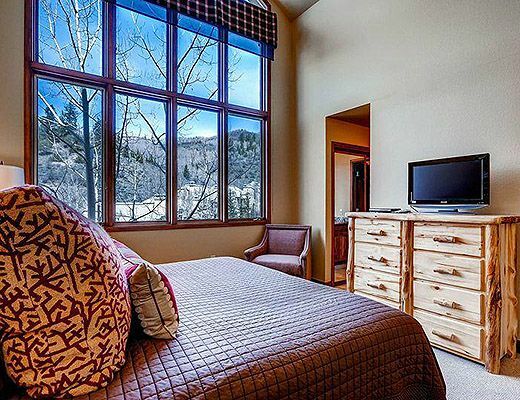 Highlands Lodge guests enjoy year-round access to the outdoor pool and hot tubs at the Highlands Lodge, the outdoor pool, hot tubs and fitness center at the Allegria Spa at the Park Hyatt.